Last week, Richard wrote about repairing a drawknife, one of the tools that Staple uses in it’s woodworking adventures. Staple has a collection of replica 14th century woodworking tools, which members use to create woodwork in as period a manner as we can manage. 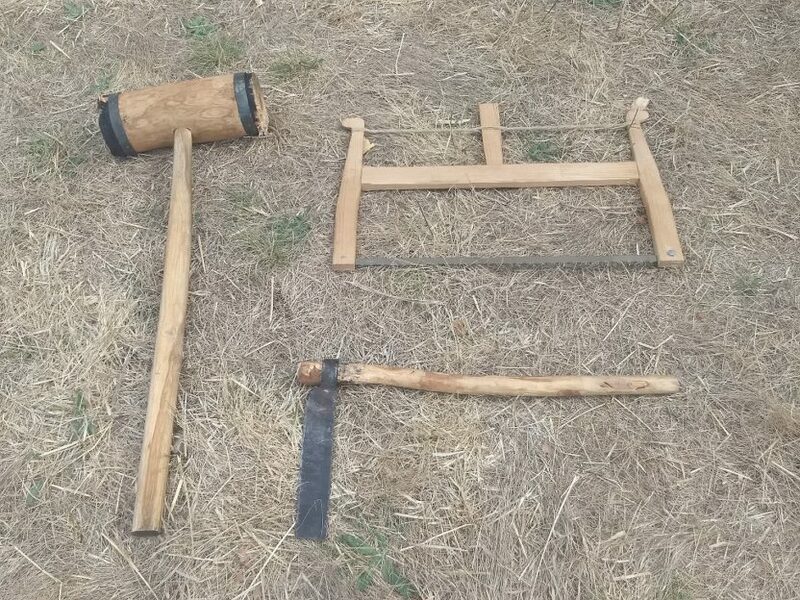 The photo shows three woodworking tools. Left – A wooden hammer. The metal rings were heated and attached while still hot. As the metal cools, it burns into the wood and is hard to remove. The metal gives the wood a longer lifespan. The hammer is used to split logs, with wood gluts. The hammer faces were smoothed with a knife. Bottom Right – A froe. The froe is designed for riving (that is, splitting) boards or shingles from logs. It is made to be struck, embedding it within the end grain of a piece of timber, before being used to lever the new board away from the parent log. 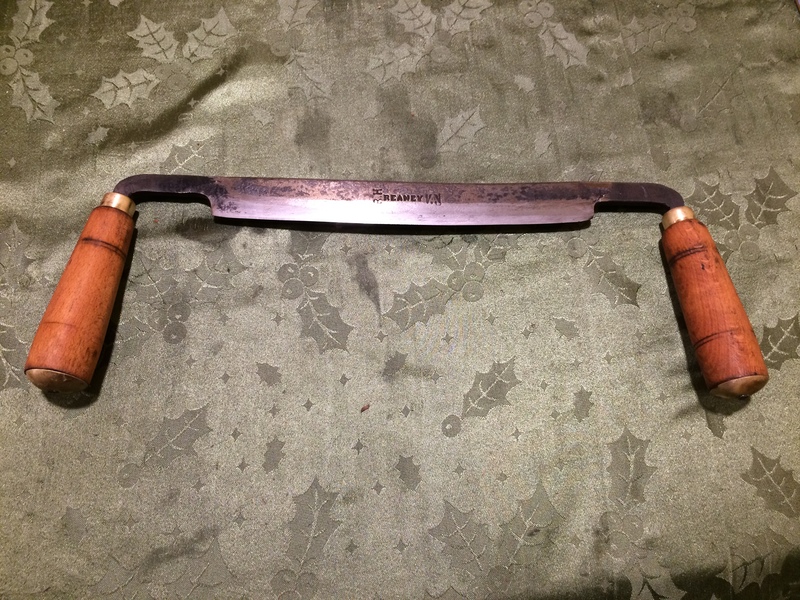 Above: A drawknife, which is for shaving timber pieces to shape and size.